Quick list of tomorrow's veggies! Eggs are in short supply this week and although we will bring what we have for the rest of the year you can expect production to go down as the days get shorter! For the health of our birds we do not provide any artificial light to make them keep laying!! So get there early to get your eggs! We will also have sweet peppers, banana peppers, jalapeño peppers, and pablono peppers. We finally have our spicy mix back in stock, arugula and a nice mesclun mix as well as eggplant and our awesome cuzzuzi (zucchini replacement). 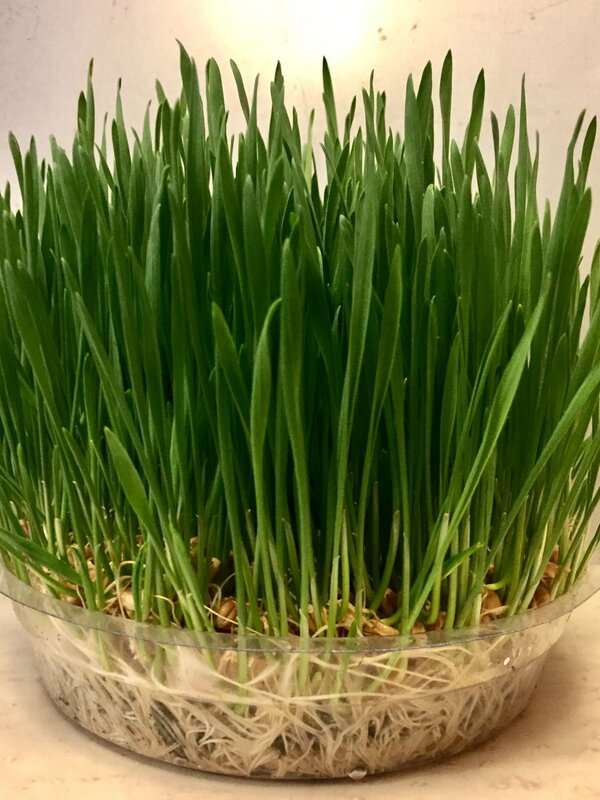 We will also have our line up of sprouts (alfalfa, fenugreek, broccoli, radish, and powerhouse mix. Sunflower shoots should also be on your list. These little guys pack a powerful flavor and 1/4 cup has 6 grams of protein!! Hope to see your smiling faces tomorrow!! Green Market Piedmont park from 9-1pm. The cucumbers have arrived!! And man are they blooming like crazy!! Get your pickle jars ready and come stock up!! We will have beautiful English cucumbers, slicking cucumbers and pickling cucumbers. An awesome color selection of "green" beans!! Get there early and beat the heat!! Can't wait to see all your smiling faces!! Here is an explosion of sunflowers to start off your weekend right. We will have some amazing collard greens that can be used as a low-carb wrap option. We will also have a limited supply a yummy brazing mix that can be used for salads as well! The mix has baby kale, baby collards, red cabbage, and broccoli greens. We will also have lots of beautiful beans, purple, yellow, and of course Green. Come out and see us early and stock up. We can't wait to see you. Here are our items this week for your grocery list; lots of herbs...sweet basil, purple basil and Thai basil, cilantro, mint, and fennel. Green, purple and yellow beans. Kale, collards, Swiss chard, braising mix, broccoli greens, carrots, eggs, cabbage and squash. We will also have sprouts; alfalfa, red clover, fenugreek, broccoli, and raddish. What's going on, you say? Must be someone crunching on some of Lucky Leaf Farm's fresh crisp shoots!! Yes that is right, we will have more pea shoots and sunflower shoots this week!! So skip the trip to the firing range and head over to the Green Market (http://www.piedmontpark.org/programs/green_market.html) this Saturday and pick up some fresh goodies to make your sandwiches and salads explode with flavor!! Our normal regiment of sprouts, broccoli greens, cabbage, lettuce mix, collard greens, green onions, carrots, radishes, beautiful green and purple beans, herbs (cilantro, Thai basil, purple basil, sweet basil), fennel, three kinds of kale, Swiss chard, summer squash , zucchini, and of course our amazing eggs!! cant wait to see all your smiling faces!! Well, my pump went bad, well pump that is! Yeah so we started off the day with no water on the farm!! Shortly we made a frantic phone call to get help!! All is well (get it) now!! Water is running and we managed to get everything harvested!! green onions, Swiss chard, kale, collards, BROCCOLI (not a bad haul but still get here early so uou don't miss out) , carrots, sunflower shoots, and sprouts!! hope to see your smiling face at the market tomorrow!! If they were diamonds we would be rich!! We had quite a nice little harvest today!! The carrots are coming in nicely and look so beautiful!! New this week is our tasty broccoli! This is the very first of it with hopefully lots more to come this spring!! So get there early and bring your shopping bags!! Rounding out the list this week we have more romaine, green onions, sprouts- featuring broccoli and Chinese cabbage, sunflower shoots, baby beets, a few turnips, collard greens, Swiss chard, three types of kale, fennel, yummy snow peas,wheat grass, baby cabbage, and of course our eggs! We can't wait to see all your smiling faces!! Lettuce go to the market! Lettuce fill our grocery bags with ..you guessed it!! LETTUCE! Well at this point you can probably guess we will be having a lot of lettuce at the market again tomorrow!! Lettuce not cry over too many heads of lettuce; lettuce EAT! Lettuce grill our lettuce!! Lettuce juice our lettuce! Lettuce toss our lettuce.....in a bowl!! You know the more I type lettuce the weirder it looks!! I litterarlly had to take a second look because L-E-T-T-U-C-E so wrong!! But man it taste amazing!! Moving on! Make your list and head on over to the Green Market Saturday from 9-1! See you there!! I hope everyone is enjoying this spring weather!! We have so much to bring to you this week it's going to be amazing!! First and always on your shopping list should be our amazing eggs!! The girls are loving this weather and really working hard for you!! So many new things this week!! Snowpeas are starting to come on strong. I'll have a few there this week as a teaser!! Also, we will have our spicy mix, mizuna(Asian arugula), and our latest creation the hardy mix, which has broccoli greens, collard greens, Swiss chard, kale, and beet greens in it!! The hardy mix will be great for salads or braising!! The star this week would have to be our beautiful heads of lettuce. Crisp Romaine and silky Bibb lettuce will be there for the taking!! Ever had grilled romaine? Omg it is so good!!!! So much to talk about this blog could easily turn into a blogel ( blog novel), so I will just list what we are bringing so you can make your shopping list!! Stock up and have the best Easter Dinner EVER!! Hardy Greens Mix is where it's at! 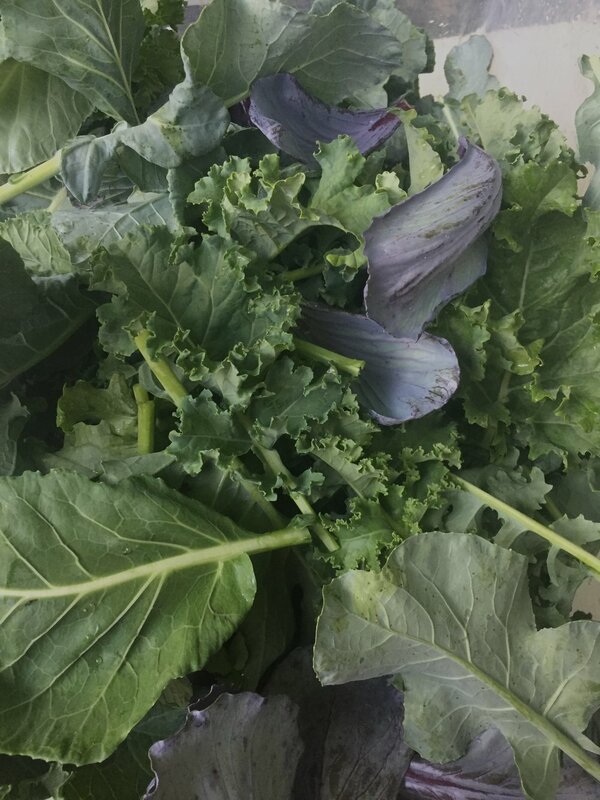 This week we will be featuring an amazing Hardy Greens Mix, which includes Three types of kale, collards, rainbow chard, and broccoli greens!! 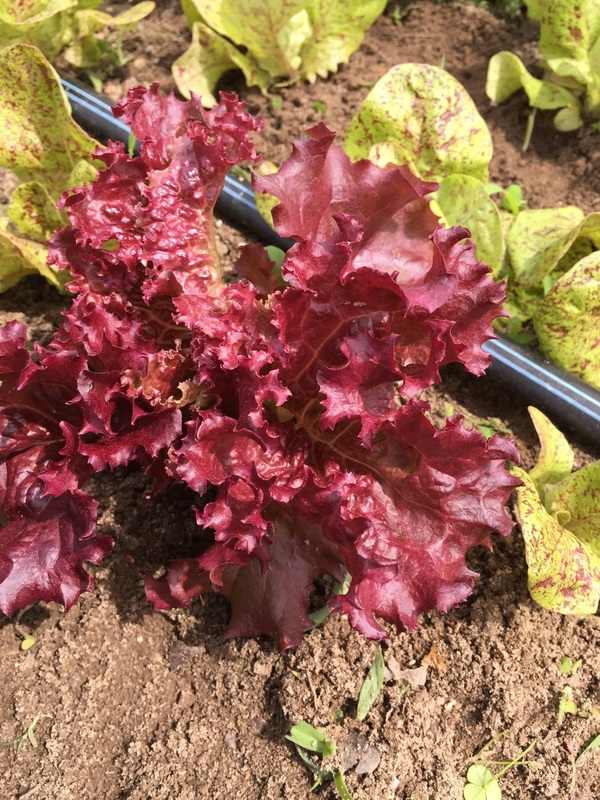 The flavor is so amazing it's young tender leaves can be use as a salad mix or steamed as a side dish!! We only have 10 bags so get there early!! Also, we will be bringing the ONLY spring green garlic we will have this year, don't miss it!! Another new item this week?!? Broccoli sprouts!! They are so yummy...and packed full of healthiness to fight cancer and other yuck yuck!! The following rounds out the menu: sprouts - alfalfa, red clover, fenugreek, radish, and broccoli, spicy microgreens, wheat grass, hardy greens mix, green garlic, wild spring onions, edible mizuna and arugula flowers, fennel, and beautiful heads of lettuce!, and let's not forget the eggs!! Make your list and come to the Green Market tomorrow from 9am-1pm!! Off to the races..I mean the market!! sunflower shoots, pea shoots, alfalfa sprouts, red clover sprouts, fenugreek sprouts, radish sprouts, baby carrots (just a few), wild spring onions(so good and beautiful) and of course our amazing eggs!! Don't miss it this food is amazing and grown with lots of love and tender care!! Seedlings kick off a great 2017 season!! Check out these beautiful red kale and cabbage transplants!! Stock up on fresh season veggies at the Green Market in Piedmont Park from 9-1 on Saturday mornings!! Starts March 18th!! Everything's coming up roses...I mean veggies!! Well we are off to a great start this year!! 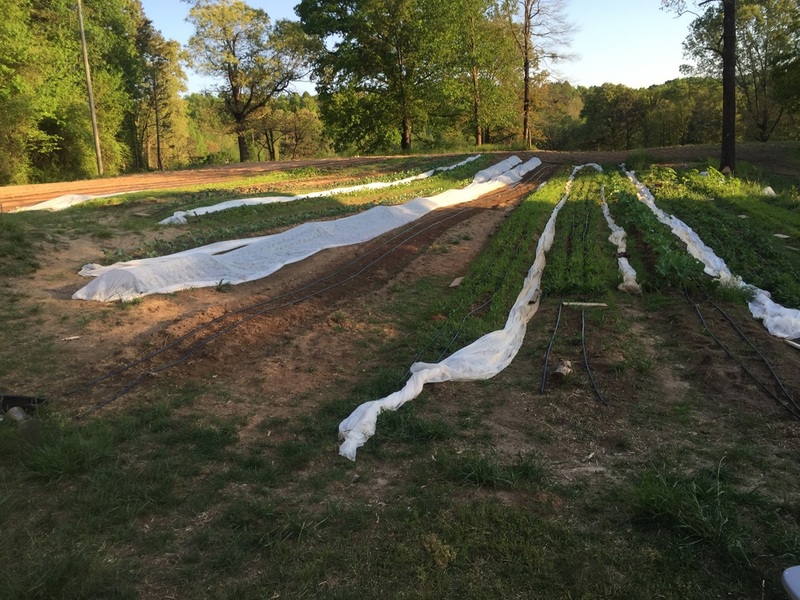 Seedlings ready to go out in the field, sugar snap peas are blooming, and the spinach and carrots are already off to a great start in the field!! The ladies are producing more and more eggs!! Please contact me if you need eggs!! (We will bring to midtown before the market starts). Speaking of the market, mark your calendars because we are off and running again at the Piedmont Green Market March 18, 2017 from 9-1. Sugar snap peas in bloom! Eggs eggs and more eggs!! Lots of new things this week!! Cherry tomatoes, purple and green peppers, Jalapeño peppers too!! And why not take a little sunshine home with you? We will have some beautiful sunflowers tomorrow!! Check us out at the green market in Piedmont park!! Green beans and squash, squash and green beans!! No matter how you say it we got 'em and they are fantastically flavorful!! Come stock up this week at the green market!! 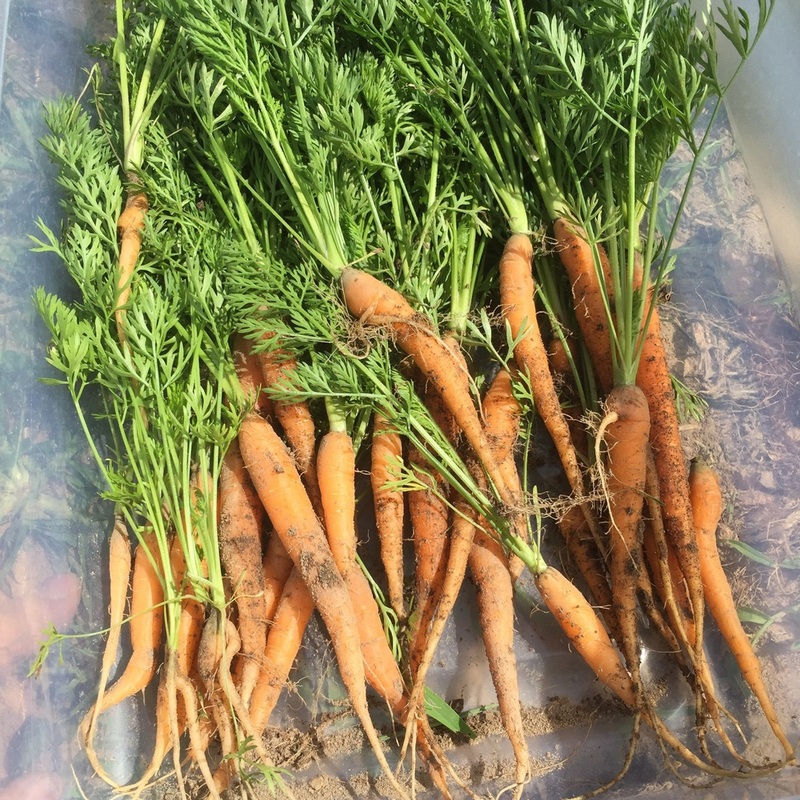 We are going to be low on our yummy carrots so get there early if you want some!! Also we will have spring broccoli this week!! There won't be much with this heat, so get it now or wait until fall!! Cabbage, what?! Yes we have some small heads of spring cabbage so stock up on the last bit of spring veggies and get ready for tomatoes!! Who wants some fried green tomatoes?!? Other things at the market: basil, banana peppers, fennel, and maybe some lettuce( no promises). See you all tomorrow!! We will have head lettuce again this week!! It is beautiful!! Also, lots of basil coming in now with all this rain. We will be featuring collard greens and broccoli greens this week. If you haven't had broccoli greens before, do your self a favor and try them...amahzing!! Some of the first baby squash will be present for your culinary temptations. And of course who can forget about the carrots. Come out to the green market tomorrow and stock up!! The market will be closed the following week for the Memorial Day holiday. Rome didn't fall in a day, but this romaine sure did!! Amazing heads of romaine lettuce harvested fresh today for your Mother's Day table!! And please don't get me started on the carrots!! Get you some beta-carotene!! Lots of yummy veggies for what is sure to be a great market day! Also, new this week , wild flowers to brighten up your Mother's Day center piece! Come visit us at the Green Market in Piedmont Park from 9-1 on Saturday. Carrots, collards, head lettuce and more!! It's been another bumper crop this week!! We have some baby carrots that are quite tasty!! 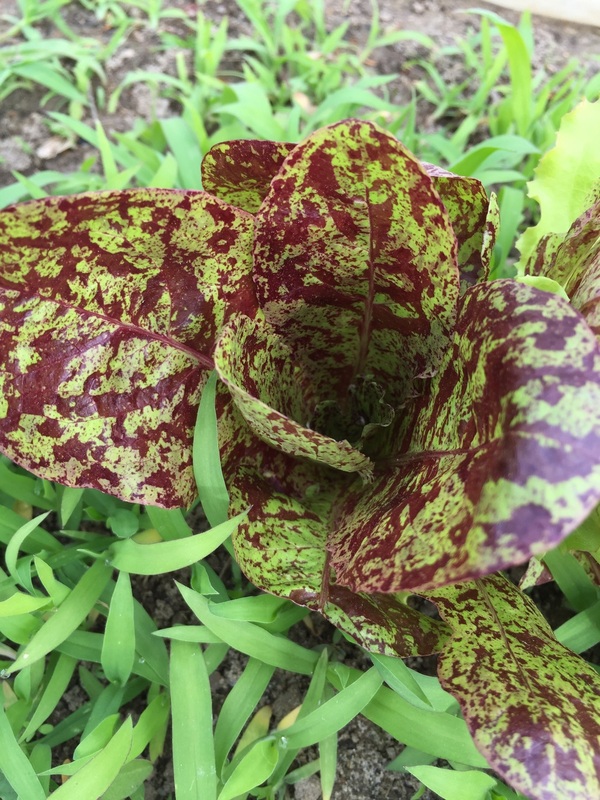 Also new this week we have beautiful bibb, buttercrunch, and romaine lettuce heads. We have more collards along with tons of swish chard!! So much stuff it's hard to list it all!! Come to the Green Market at Piedmont Park on Saturdays from 9-1 million and pick up your veggies for the week!! Wow! It was a long but productive day!! We had one of our biggest harvests yet!! New items this week include collards, Swiss chard, turnips and speckled bib lettuce! Come see us at the green market in Piedmont Park!! It's shaping up to be a great market day!! After two weeks of growing we are going to have a lot of fresh veggies this week! Don't miss out on getting your paws on some of the healthiest, freshest food around!! Radishes, beet greens, lettuce mix, kale, and spicy greens!! And perhaps some more surprises!! @ green market in Piedmont Park this Saturday April 16 from 9am - 1pm. Ovation greens!! You know you love them! Yummy spring lettuce mix!! Look at that color!! Crisp tasty spinach it's getting to be huge!! It was a great day at the Green Market! Wow! The weather was beautiful and the people were friendly! If that sounds like the perfect combo for Saturday market, then you would be correct! This week was our second harvest and it was quite bountiful! The spicy greens, arugula, spinach, radishes, and mizuna were flying off the table! We appreciate everyone who came out and supported us! The market resumes April 16 and we look forward to having our biggest harvest yet!